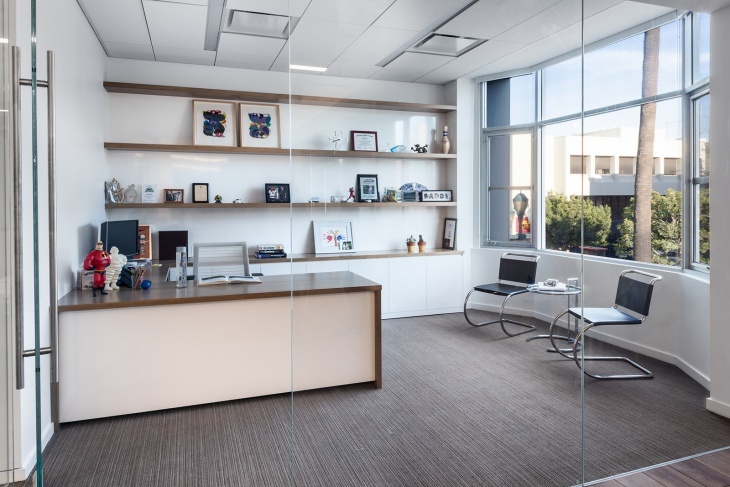 When you plan the interior of your office, you need to allocate a predetermined space to the desk where you sit and work. 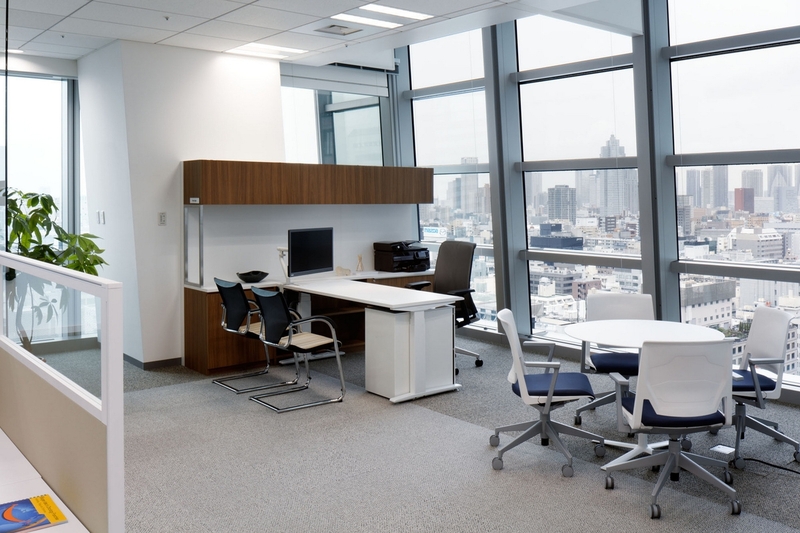 In most of the modern offices, you will find the corner office desk design. 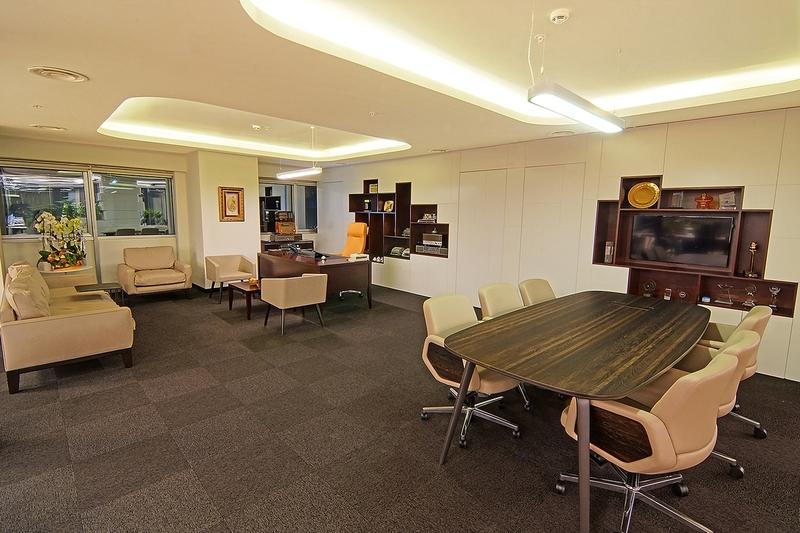 This is due to the judicial use of available space, and to add to the interior beauty of the offices. In modern home office ideas too, you will find the right incorporation of corner office desks. 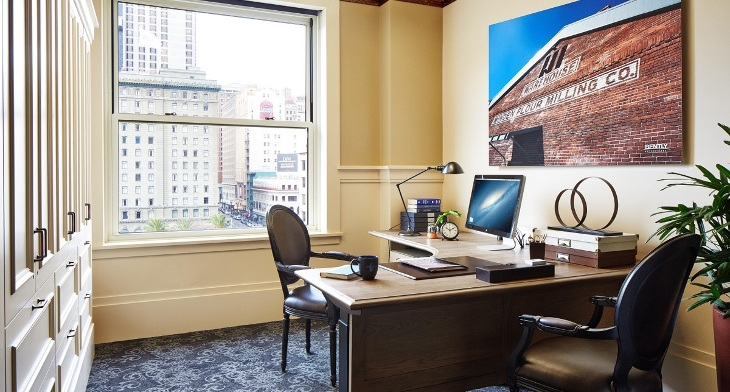 Here, you will find ten personalised corner office desk designs. You may also see Home Office Designs. 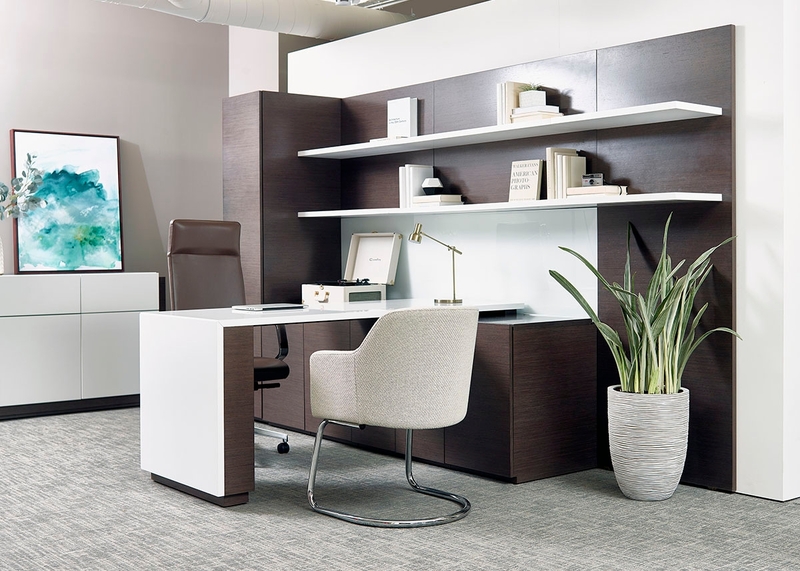 A well-selected corner office desk can complement the architectural features of your office. Here, you will find a table with glass top, in an arched room. There are black chairs in the room, and you need to pick a black pedestal for the table to complement the look of the room. Use the black colour for the arched wall and this will go well with the brown wooden floor of the room. 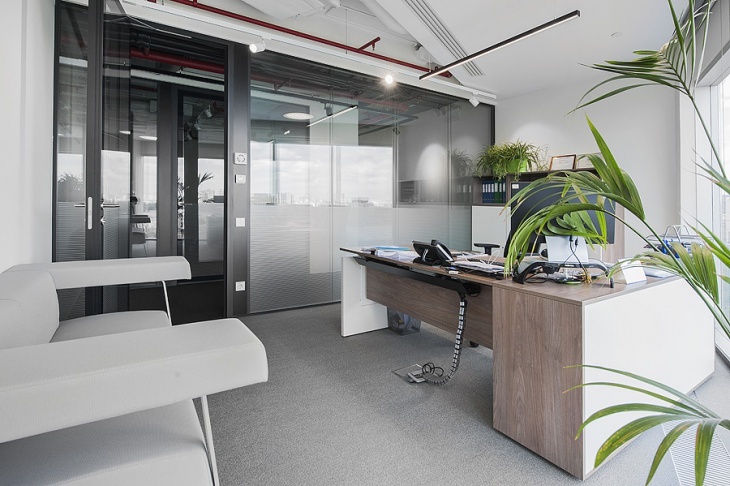 A modern office is often found to incorporate the ‘L’ shaped office desk idea, as it turns out to be easier for the people to place their accessories and work comfortably. There are large rectangular glass panes in the room and these go well with eth white walls. When you want to allocate all the accessories in your office in a limited area, you need to go for a small corner office desk. There are translucent curtains around the windows and these yield a brown hue in the room. You can complement this hue with light brown shades in furniture. 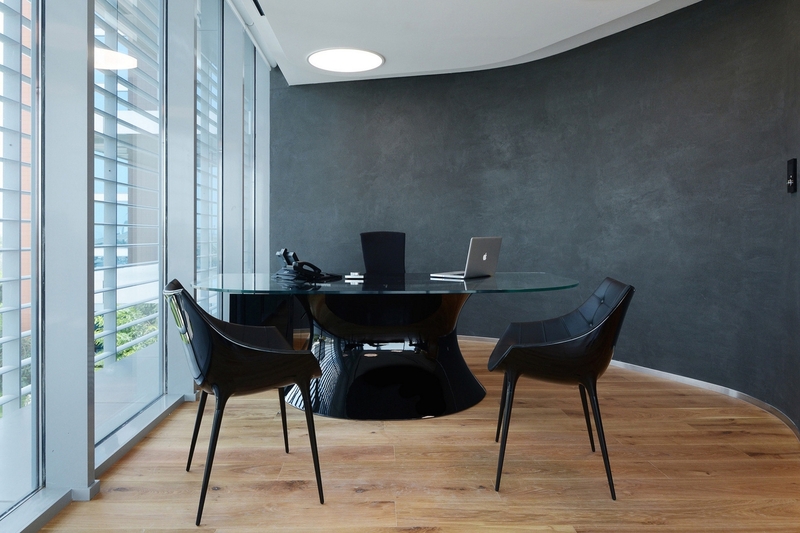 If you have a sophisticated interior for your office, you can go for a black corner office desk. 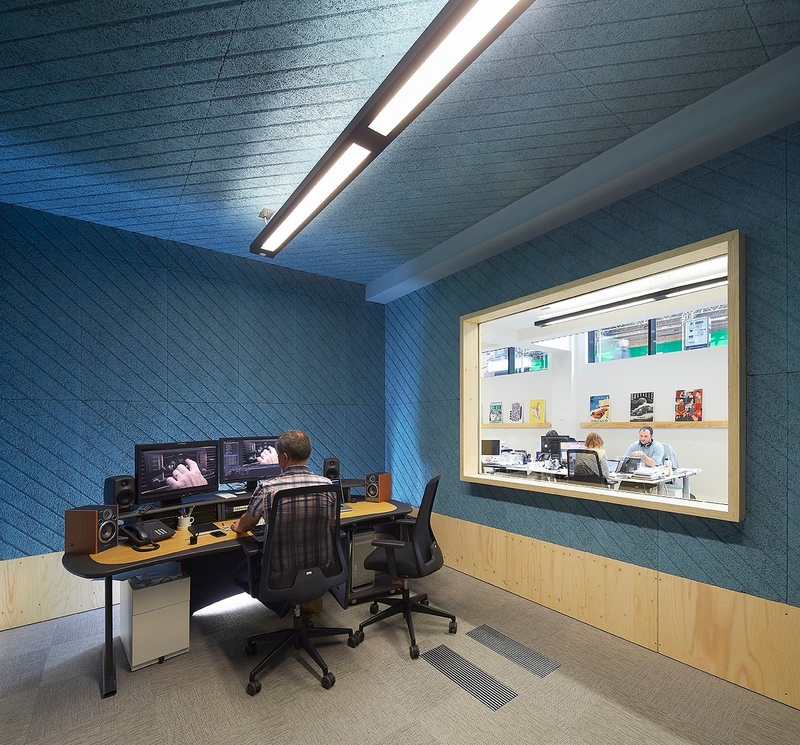 There are blue walls and ceiling in the room, and you need to have a strip of a wooden base for the walls to get the perfect beauty in the room. Go for a light slate tinge for the floor. 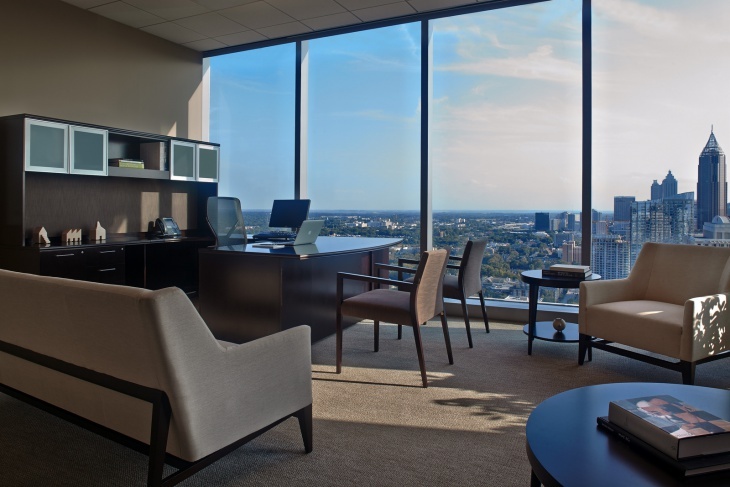 In case you look out for a luxurious setting inside your office, you can go for a bright interior with large square panes in the room. 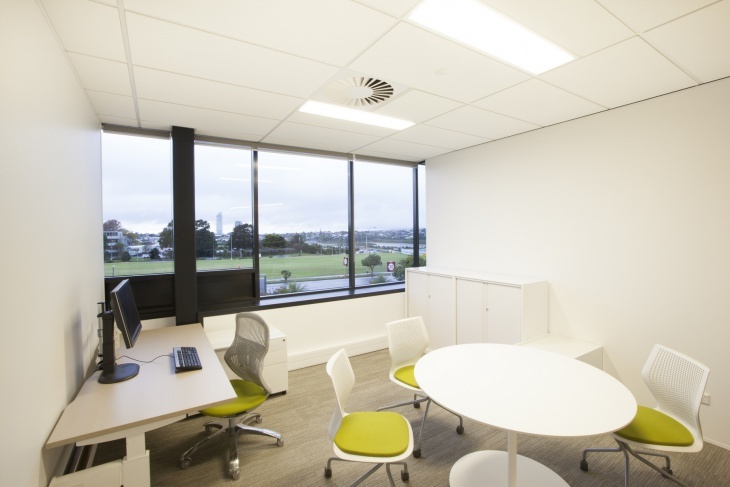 The Contemporary Office Desk is centrally positioned in the room and is slightly arched. The table has a natural dark brown color like the floor. Paint the walls in spotless white to enhance the elegance. Wooden desks have unmatched beauty and looks, and when you place a wooden Home office Desk in a corner, you can yield a splendid ambience in your office. It goes well with black and white textured floor with abstract design ideas. Wooden furniture and wall cabinets complement each other. 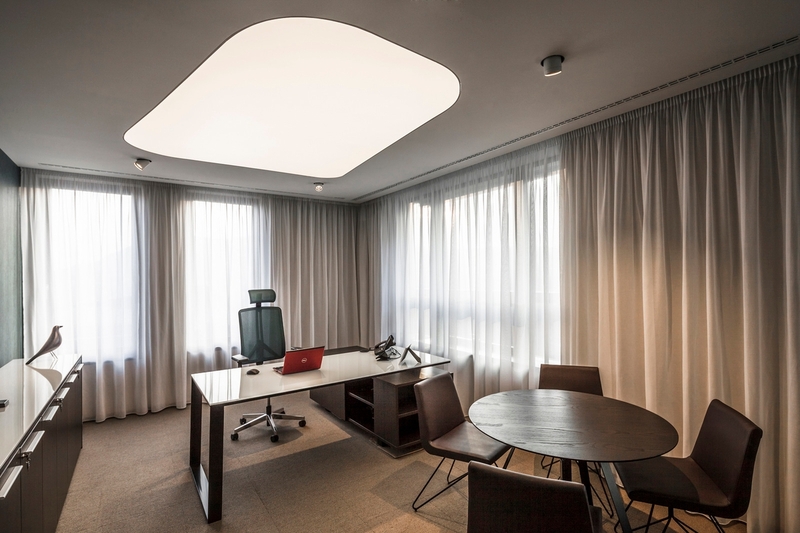 When you have a spacious library with a brown floor and indirect lighting in the ceiling, you can boost up the elegance with a large corner office desk. It has a dark brown burnish and cream colored chairs around it. It looks conspicuous in the spacious area of the office. The right incorporation of the black and white colors, along with the perfect shade of grey produce a great combination. 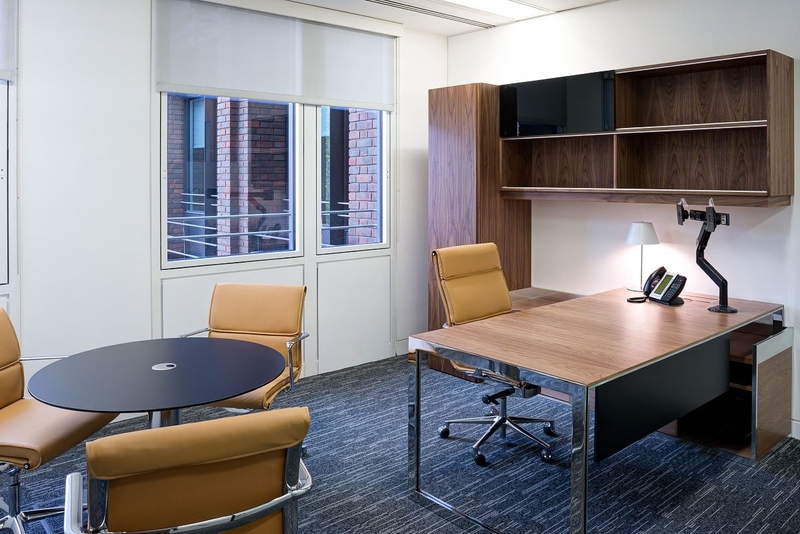 In an office room with modern architecture, you need to install a rustic oak desk in a corner to strike the right balance in looks. It goes well with sophisticated glass panes in the room. 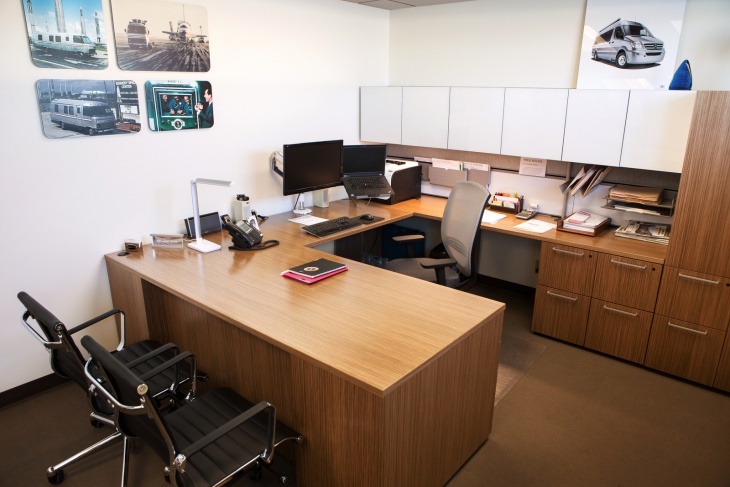 When you have a large office room with large glass windows from ceiling to floor, you can get a classic wood corner office desk. It goes well with the brown walls and ceiling in the room. There are square pendant lights on the ceiling to add to the grace of the room. Storage of files and accessories is an important factor that determines the choice of tables. 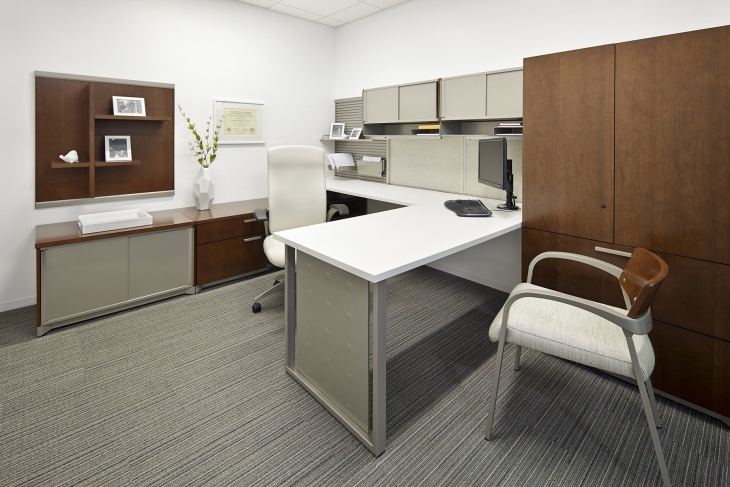 When you opt for a corner office desk with storage facilities, you can go for the grey and white colour combination. A potted plant in a vessel will bring a bit of contrast the visual elements in the room. In the modern professional ecosystem, many people work from homes. They can opt for a small desk in the offices. 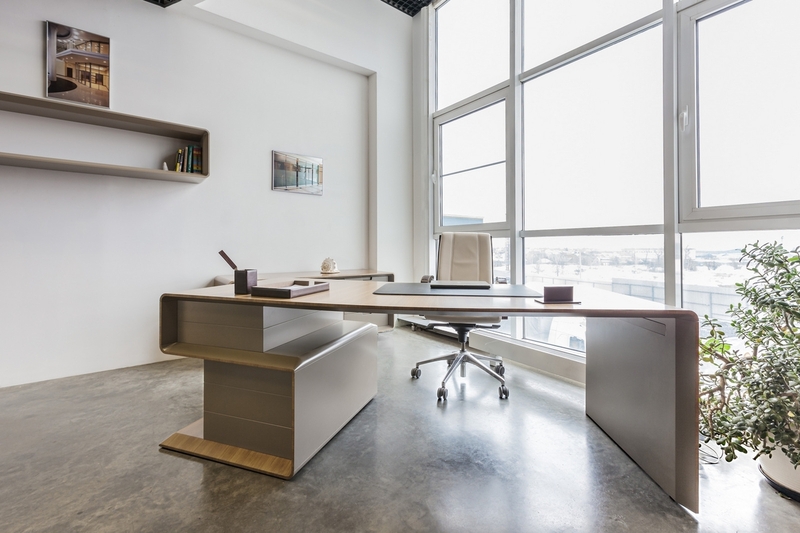 Apart from this, there is a number of corner office desk designs that you can incorporate in your offices. 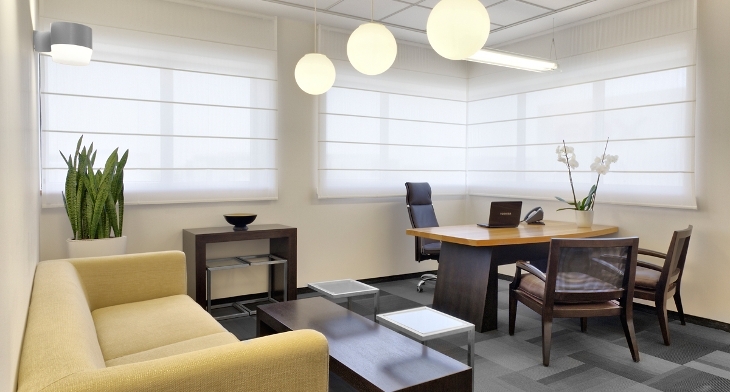 You may come up with innovative corner office desk design themes and let us know about these ideas. You may also see contemporary office desk.